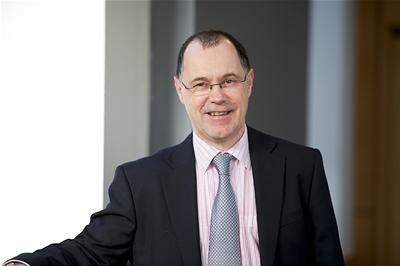 Professor Mark E. Smith currently Vice-Chancellor at Lancaster University, has been appointed as the next President and Vice-Chancellor of the University of Southampton. The appointment follows a rigorous selection process undertaken by our Joint Selection Committee, and formally approved by the University Council. The Joint Selection Committee included members from Council, Senate, Professional Services and our Students’ Union. A high level of interest and applications were received from a range of very experienced candidates with an equal balance of women and men in the final stages. Professor Smith embodies all of the key leadership qualities that we were searching for based on our detailed consultation with staff and students, in particular the ability to inspire, engage, and work with our University community. These traits, coupled with his extensive academic and leadership experience, will ensure we can continue successful delivery of our strategy to build the University of Southampton’s reputation as one of the UK’s leading research universities, and to firmly establish us a world leader in education. Subject to final arrangements we look forward to welcoming Mark at the beginning of the new academic year on 1 October 2019. “It is a tremendous privilege to be appointed the President and Vice-Chancellor of the University of Southampton. I am very excited to be joining a university that is so committed in its vision and strategy to achieving dual excellence in its educational offering and research. “As one of the most research intensive universities in the UK and recognised in the world top 100, it is an exemplar of an institution that can make a real difference to the world. “Professor Mark E. Smith will join our University with a track record of success in his leadership of Lancaster University and a deep understanding of the complex environment of Higher Education. “More important than that, however, is his approach to leadership which is consensual, inclusive and sensitive to the needs and expectations of the student and staff community. While he is a visionary leader, he has been very clear in his view that Southampton’s strategy and 10-year plan are right for us and that he will work with the whole University community to deliver them. These are all attributes highlighted in the extensive consultation we held with staff and students before the search started. “From the consultation with our community back in October came a big ‘ask’. We not only wanted an experienced, credible and respected academic, business-person and top-notch influencer, but we also needed an exceptional individual who could unite us, listen, motivate and engage us, understand and value all of us, and above all trust us as much as we would trust them. “On behalf of the Students’ Union, I wholeheartedly endorse the appointment of Professor Smith to the role of Vice Chancellor and President. Throughout our extensive consultation process the themes of accountability, honesty, and transparency repeatedly surfaced from students. Having had the pleasure to interview Professor Smith myself, I am certain that we have found ourselves a capable and seasoned leader who has met our brief and will be able to carry out his duties whilst connecting with students on a personal level. A large proportion of our university staff play a significant role in supporting the academic mission of the University and they were represented on the selection panel. “Professor Smith impressed upon us the importance of everyone in the University working towards a shared, University-owned, strategy, where each member of staff understands their role and the importance in achieving their ambitions. He also showed significant passion, experience and understanding of the value of a diverse University community. This appointment follows the retirement of Professor Sir Christopher Snowden on 8 March 2019.